Congratulations to Las Vegas artist Justin Favela on his new podcast, ART PEOPLE, “the podcast about Art, people!” Excited to share this special episode on Settlers + Nomads! 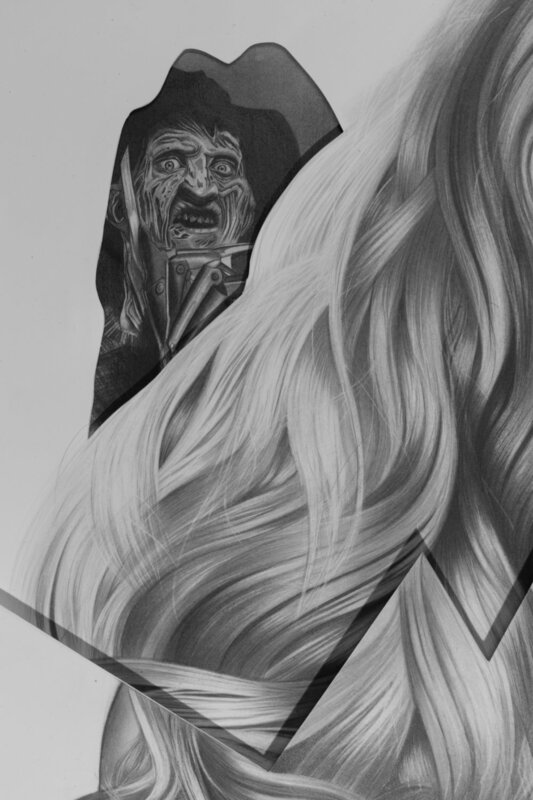 In the sixth episode of the podcast series Justin visits Oakland-based artist and S + N contributor Daniel Samaniego’s studio where they discuss his recent labor intensive drawings that borrow beautiful-grotesque figurative imagery from modern horror cinema and classical film. He’s interested in metaphors of the Final Girl and transformation, the influence of the excess and beauty of horror on queer and drag culture, and thinks of these films as safe spaces where we can explore our "our monstrous human moments…” They also talk about Daniel’s experience as an artist in the Bay Area for the past nine years, favorite studio music and deliberate on the legacies of early idols Reba McEntire and Wynona Judd. Justin Favela is a Las Vegas native working in the mediums of painting, sculpture, and performance. His work draws from art history, popular culture and his Guatemalan/Mexican heritage. He has participated in exhibitions and been awarded artists residencies across the United States, Mexico and the United Kingdom. Justin Favela is the 2018 recipient of the Alan Turing LGTBIQ Award for International Artist. He is the founding S + N Instagram curator, and you can follow him on instagram here.